Life is hard enough without having to factor in modern technology. The iPhone 6 and 6 Plus were two of the most lauded and intuitive smartphones to ever hit the consumer market. The phones are packed with an impressive set of hardware and integrated with Apple’s robust ecosystem of apps. Nonetheless, the aptly titled Tips app directly built into iOS doesn’t cover all the bases, especially considering just how vast and varied the innate features baked into Apple‘s latest mobile can be. Most of us need a little extra help to get the most out of this powerful smartphone, whether you’re simply trying to traverse the device’s expanded real estate or capture slow-motion video of your dog drooling on the sofa. Below are 30 of our favorite iPhone 6 tricks. Are you looking for tips on the latest devices and software from Apple? Don’t forget to read our iPhone 8 and 8 Plus tips, iPhone 7 and 7 Plus tips, and iOS 11 tips and tricks. You no longer need to repeatedly press the shutter icon in the Camera app in order to take multiple photos. By holding down the icon or one of the volume keys, you’ll enable the iPhone’s Burst Mode and take a series of photos. A picture is taken every half second or so, and this will continue until the shutter icon or volume key is released. Before you decide to edit an image or video, you should save a copy of the original. To do so, head to the Photos app and select the image or video you wish to duplicate. Tap the share icon in the bottom-left corner and select Duplicate from the resulting list of options. While you could use the vibration options that come with your iPhone, it’s far easier to tell who’s calling or texting if you create your own personal vibrations. Head to Settings, then Sounds, and select Ringtone, Text Tone, or whatever notification you want to outfit with a custom vibration. Then, tap Vibration at the top of the screen, which will take you to a menu that has Create New Vibration near the bottom. Tap that, and begin tapping out your own vibration patterns. First introduced with iOS 9.3, Night Shift will help you get a better night’s sleep by changing your display colors. It uses your iPhone’s clock and geolocation to determine when it’s sunset in your area and will change the colors to the warmer end of the spectrum come sundown. To enable the feature, go to Settings and Display & Brightness. Next, select Night Shift and schedule an activation time for the feature, as well your desired color temperature. Another feature introduced with iOS 9.3 was the ability to add passwords to important or private notes. You can create a password for these by going to the Notes section housed under Settings, selecting Password, and typing in a password of your own choosing. Keep in mind that you must enable the password lock in the Notes app and that it only works with notes stored on the iPhone 6. Once done, select the note and press the share icon in the upper-right corner to lock the note. You can also lock an individual note. To do so, open the note that you want to lock, tap the share icon on the top right-hand corner, and select Lock Note. 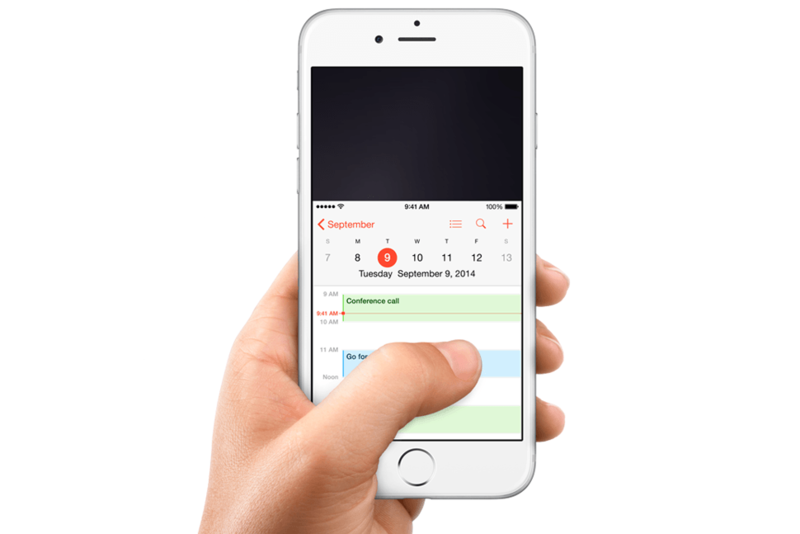 Apple has always wanted consumers to use the iPhone with a single hand — hence, the Reachability feature. Simply double-touch the Home button to shift the screen down closer to your thumb, and once you make your selection, it will conveniently slide back up to its natural position. No second hand required. If the feature isn’t working for you, it might be turned off. Head over to Settings > General > Accessibility > Reachability and make sure it is turned on. 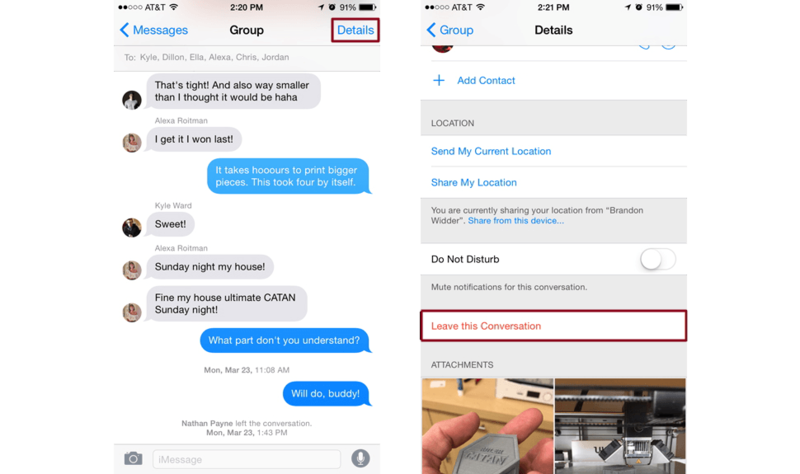 Certainly a long-sought-after feature, iPhone 6 users can now opt out of iMessage threads. To do so, launch the Messages app as you would normally, and choose the group thread you’d like to opt out of. Afterward, tap Details in the upper-right corner, and select the Leave this conversation option at the bottom of the menu. It’s a really nice feature, but sadly, it only allows you to leave conversations when everyone included on the thread uses iMessage. If you’ve got a friend who texts via SMS — ahem, Android users — the feature won’t do you any good. When Apple issued iOS 8, the company added the highly rumored Health app to its arsenal. The somewhat complicated app provides a quick means for charting various metrics regarding your health and physical activity, along with a way for others to access a wealth of information vital to your health in case of an emergency. 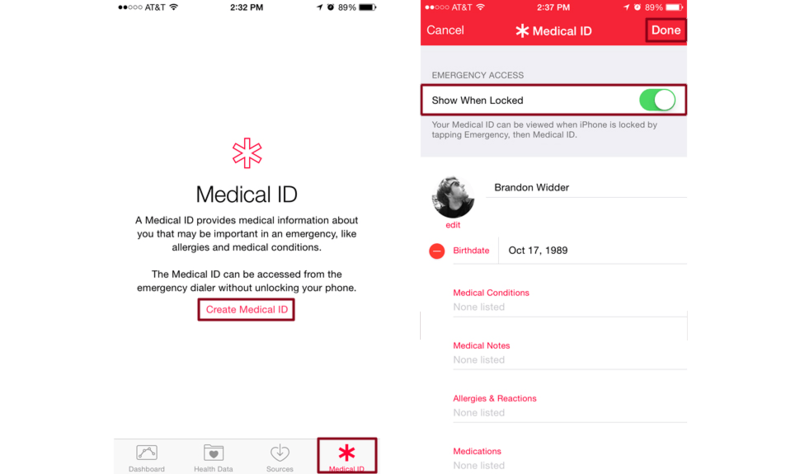 You can create a Medical ID that’s accessible via the Emergency function located on your device’s lock screen. To create a Medical ID, launch the Health app as you would normally, and select the Medical ID tab in the lower-right corner. Afterward, enter any information you want accessible through the lock screen — i.e. allergies, medications, blood type, emergency contact numbers — and click Done in the upper-right corner before enabling the function at the top of the app window. 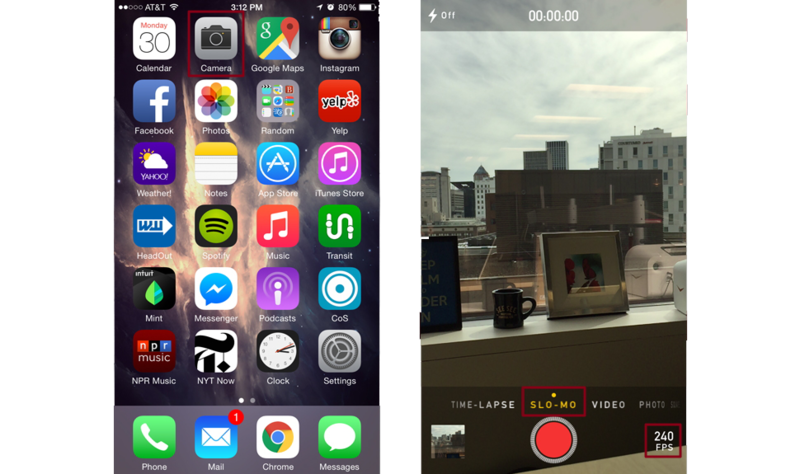 The iPhone 6 has stellar video recording capabilities, especially when you enable 60 FPS. The feature essentially doubles the amount of frames per second when recording, taking iPhone 6 videos from 30 to 60 frames per second. To enable this feature, tap the Photos and Camera option within the main Settings, and toggle Record video at 60 FPS to on. Unlike previous iPhone models, the iPhone 6 is capable of capturing slow-motion videos, which are great for recording action videos. To enable the feature, launch the Camera app as you would normally, and select SLO-MO from the sliding wheel at the bottom of the screen. The camera app will record 1080p video at 120 fps by default. If you want to record slower you can change this by going to Settings > Camera > Record Slo-mo and pick 720p HD at 240 fps.